Berlin, the city on the border of West and Eastern Europe works as a magnet to creative, open minded & social people from around the world. Life is very affordable in this huge city and people are flocking together to live and experience this extraordinary place. Something amazing is cooking here. I was there for the ITB travel conference and I just fell in love with the city and it's people. So I decided to go and live there for some time. I arrived on the 2nd of April. As usual the key is to be social and I hope to experience many social travel adventures with Friends and Followers living or traveling in Berlin. During my stay I work as a freelance social media consultant, I'll be writing and editing stories, pictures and videos from my past Tandem Challenge and I'll be looking for partners to be part of my Guitar Challenge on the West Coast of North America. Show me your favorite and must visit places in Berlin. Meet up with me for a coffee or a beer. Connect on one of the social networks I use and get in touch. 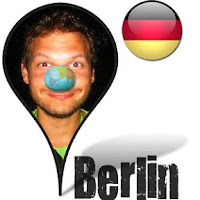 Join a 'Social in Berlin Meetup'. You can claim and 'own' this city. This way you support my project and you're part of a unique social travel adventure around the world. 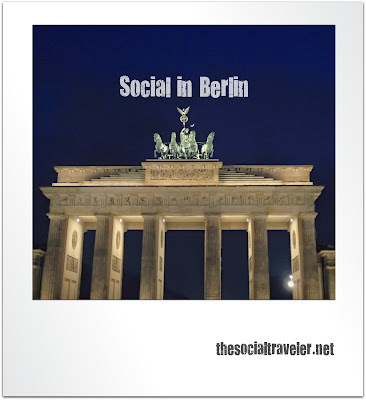 You'll be integrated in all online communication related to my adventures in Berlin. Reaching 25.000 people from around the world on a monthly basis. 20% goes to the charity supported in this city.